As this is the first of my wedding venues to be featured on the blog, I wanted to feature something a little different. 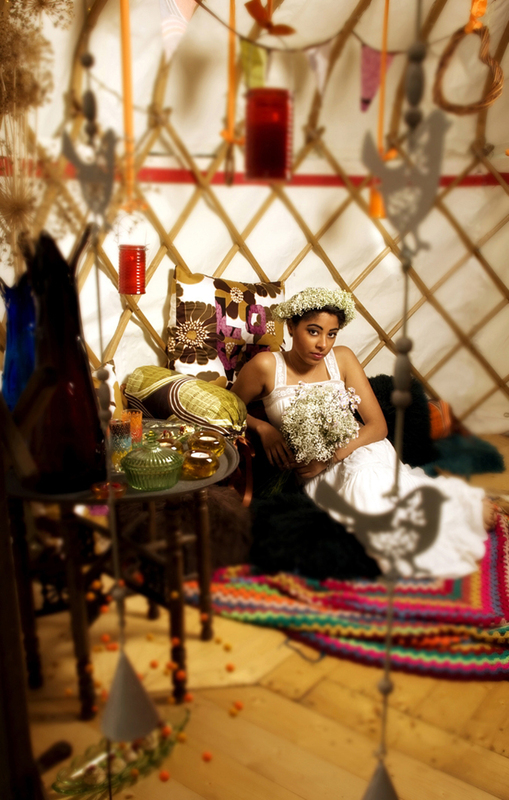 I recently came across this company, Wedding Yurts, who hire out yurts for weddings. 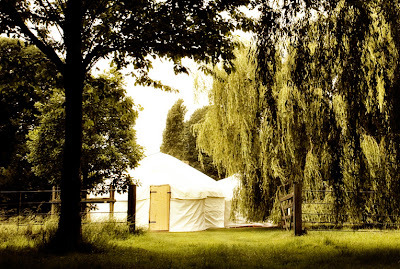 Wedding Yurts is run by Lizzie and James who have recently set up the company. Their wedding yurts have been designed to host intimate wedding receptions and are the perfect alternative to a traditional marquee. 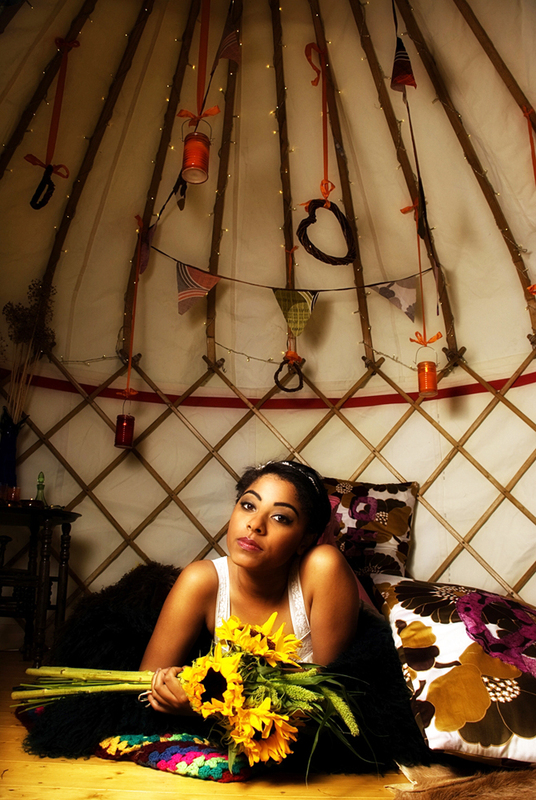 The yurts are hand~crafted out of sweet chestnut wood, covered in cream canvas, and really enhance any special event. The wedding yurts can be podded together to create a unique space with the capacity to sit fifty guests for a wedding reception, or seventy guests dancing and lounging at the wedding party. The 20ft yurt can be used for a party, with a 12ft yurt attached for the bar and another 12ft yurt for the kitchen, or a 20ft yurt for hosting a banquet with a kitchen yurt or crèche attached. The boutique yurt accommodation is luxurious and they have a honeymoon yurt beautifully decorated for a magical wedding night under the stars. They have a mobile kitchen which can be set up inside the 12ft yurt, wooden dance floors, furniture, sound system, lighting, soft furnishings and decorations. They also know lots of very talented and creative people to help create your special day. The yurts are wonderfully versatile and can be erected inside or outdoors, in a field, a garden or your chosen wedding venue. They provide a unique venue ideal for celebrations and intimate gatherings. 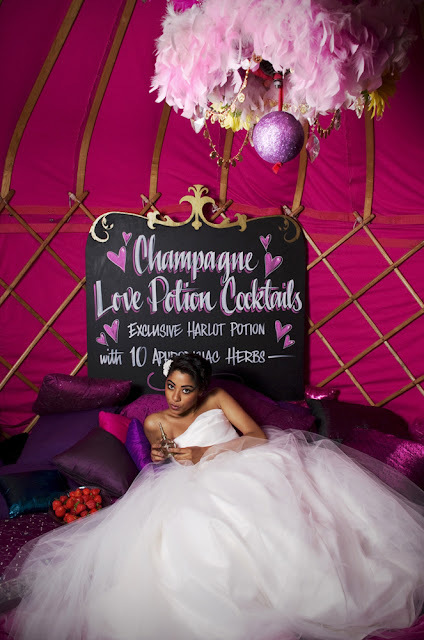 Wedding Yurts deliver all around the UK. The yurts can be erected indoors transforming a space, making a square room round and dome like. The company has strings of golden L.E.D. lights to decorate the ceiling, which looks and feels magical. To see the Wedding Yurts website, please click HERE. 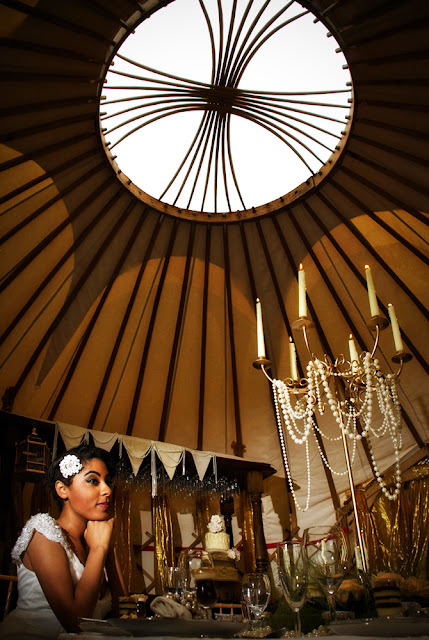 As Lizzie Jones of Wedding Yurts says, "Personally I love yurts because they are beautiful and perfectly designed to create a circular structure with extraordinary stability and a feeling of spaciousness. A tent which is almost a house, I love the fact they can be erected almost anywhere, in secret locations, in the woods, near a beach, in a park or simply in your back garden offering a private, warm, beautiful space to share with friends and family. I love the big wooden doors and most of all the window located right at the top in the centre of the roof letting the sunlight flood in during the day. At night time it is perfect for viewing the stars. Traditionally, the central wheel was called the eye to heaven and the bride's dowry would almost always include a yurt".